Are great artists more likely to be crazy? Successful artists are not more likely to have schizophrenia but they have epic rates of depression and bipolar disorder. Andreasen found that 80 percent of the writers met the formal diagnostic criteria for some type of depression. 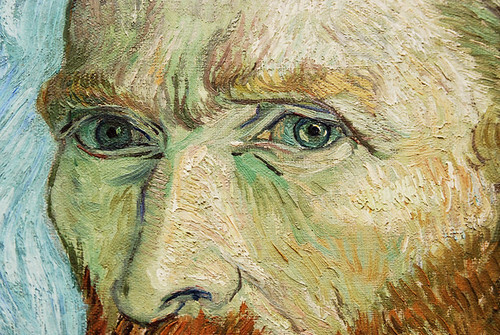 These successful artists weren’t crazy— they were just exceedingly sad. …bipolar disorder, an illness in which people oscillate between intense sadness and extreme euphoria, is so closely associated with creativity. Andreasen found that nearly 40 percent of the successful creative people she investigated had the disorder, a rate that’s approximately twenty times higher than it is in the general population. (More recently, the psychiatrist Hagop Akiskal found that nearly two-thirds of a sample of influential European artists were bipolar. ) The reason for this correlation, Andreasen suggests, is that the manic states lead people to erupt with new ideas as their brains combust with remote associations. Join over 130,000 readers. Get a free weekly update via email here. Is your brother smart? Then you might be crazy. Do more people have heart attacks, go crazy and kill themselves around Christmas?